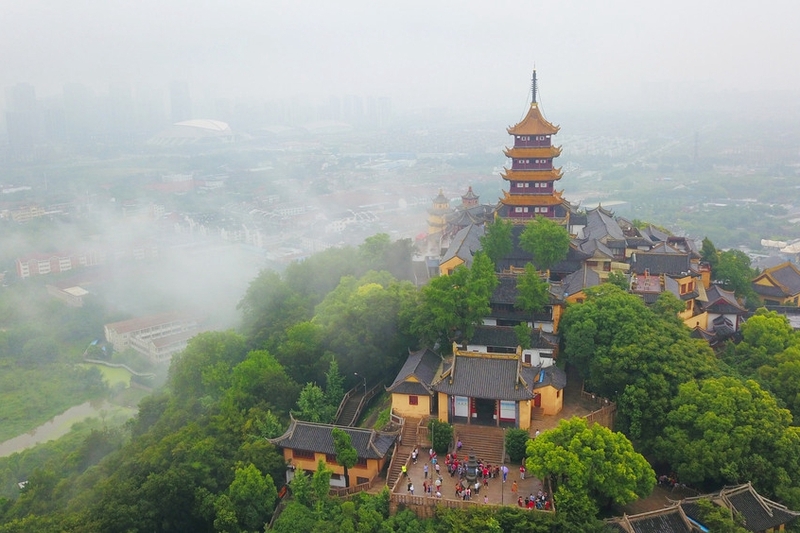 Langshan Mountain is a provincial scenic spot in Jiangsu and a national AAAA-level tourist area. 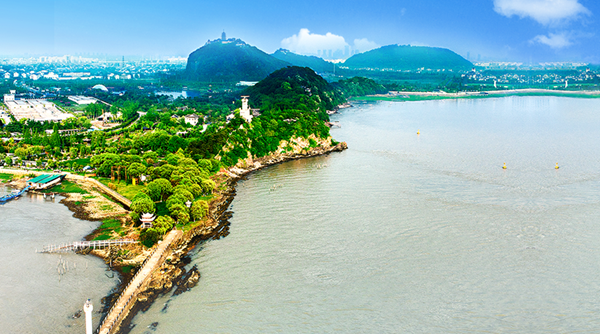 It is located on the east coast of the Yangtze River, six kilometers south of Nantong, Jiangsu province. It actually consists of five mountains - Junshan Mountain, Jianshan Mountain, Langshan Mountain, Ma’anshan Mountain, and Huangnishan Mountain -- in a total planning area of about 11.27 square kilometers. On the boundless plain by the river and sea, five mountains raise straight from the ground and lie imposingly at the Yangtze riverside with graceful posture like five green emeralds. It is the perfect combination of the "top landscape" and has the reputation of a "natural water bonsai". Langshan Mountain scenic spot has beautiful natural scenery and rich cultural heritage. As one of the eight famous mountains of Buddhism in China, it features many relics, temples and buildings. It is famous for its strong scent of incense throughout the year and its long continuous line of believers. Horticultural Expo Park is built on the basis of the Ma’anshan Mountain and Huangnishan Mountain. 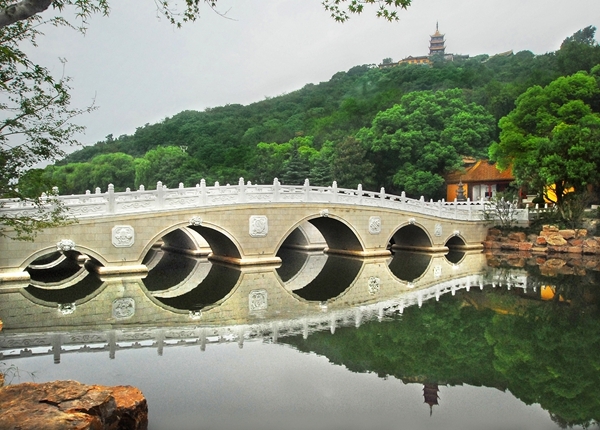 It is an exquisite example of the garden art of Jiangsu province and a perfect place to enjoy a spectacular river view. Riverside park, part of the area, is large, open and free; a perfect place for leisure and group activity. The sun rises over the green hills of Langshan Mountain, a renowned Buddhist resort in southern Nantong.